Althea Amanda Wooden is 107 years old today, born in 1903. Althea is the boys' 1st cousin 3 times removed. Althea's father is Harvey Houston Wooden, the youngest of the 6 children born to Andrew J. Wooden and Amanda Johnson. Harvey's brother Joseph R. Wooden, the boys' 2nd great-grandfather is 18 years older. Lora A. Wooden is 107 years old today, born in 1903. Lora is Althea's twin sister. How ever, I show both died in 1971 so I may be wrong about these two. More later. Emaline Wooden is 181 years old today, born in 1829. Emaline is the boys' 1st cousin 6 times removed. She was born in Oldham, Kentucky to John Wooden and Lucy Souther, the 5th of 7 children. John Wooden is the boys' 5th great-granduncle, the brother of Robert Wooden, the boys' 5th great-grandfather. John and Robert are 2 of the 7 children born to Robert Wooden, Sr. and Abigail Isabelle Miller from Ireland and Kentucky respectfully. Elisa Jane Harkrider is 182 years old today, born in 1828. Elisa is the wife of the kids' 4th great-granduncle, Abram Houston Starling, the brother of Wiley B. Starling, the kids' 4th great-grandfather. Mary Barnett is 203 years old today, born in 1807. Mary is the kids' 5th great-grandaunt, the sister of Abel M. Barnett. 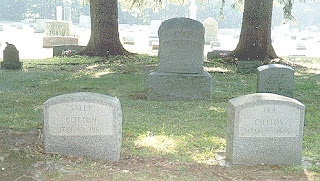 Mary is the 7th and Abel the 8th children born of the 15 that 6th great-grandparents, David Barnett and Sarah Phillips begot. Abel married Rachel Meadows and they begot 9 children with David A. Barnett being the first born. David married Jane C. and they begot 7 children with Lucy E. Barnett being the first born. Lucy married Dedrick Henry Meyer in 1875. Ethel Clare Hethorn died 47 years ago today in 1963 at the age of 76. Ethel is Andrew and Bryan's great-grandmother. Ethel married Edward Garland Bagley December 16, 1908 and begot 5 children, with Sudie Seay Bagley being the second born. Sudie married Edward McPhail Bridgforth and they begot John Baskerville Bridgforth in 1944. Jacob B. Le Fevre died 130 years ago today in 1880 at the age of 77 in Morgan, IN. Jacob is the boys' 4th great-granduncle, the brother of Mary Magdelaine Le Fevre. Stewart Naugher is 82 years old today, born in 1928. Stewart is Tara and Calum's 1st cousin twice removed. His father is James Loid Naugher the brother of Horace Savage Naugher, Tara and Calum's Great-grandfather. Lemuel Hayden Sanford is 165 years old today, born in 1845. Lemuel is the husband of Tara and Calum's 1st cousin 4 times remove, Sarah Jane Naugher. Sarah's father is Daniel Naugher, Tara and Calum's 3rd great-granduncle, the brother of Robert Marion Naugher, Tara and Calum's 3rd great-grandfather. 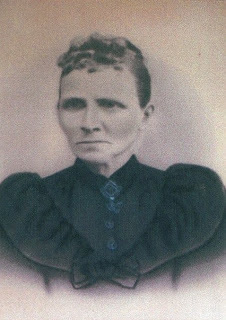 Robert married Mary Ann Reedy in Benton Alabama on November 4, 1847 and they begot Moses Service Naugher in 1851. Thomas Truly Brown is 195 years old today, born in 1815. Thomas is the kids' 4th great-grandfather. He married Louise J. C. Rogers and begot 11 Brown children with Oscar Routh Brown being the 7th. Oscar married Ella Mariah Crow and begot 5 children, the last of which is Oscar Thomas Brown who married Donie Mae Mayne in 1936. Mary F. Tillinghast is 184 years old today, born in 1826. Mary is the wife of the boys' 1st cousin 6 times removed, John Fletcher Cleveland. John's mother is Nancy Ann Cotton, the sister of Ira Cotton, the boys' 5th great-grandfather. Ira married one of the daughters of Talcott Gold, Sally Gold, on May 6, 1811 and they begot Samuel Cheney Cotton in 1815.